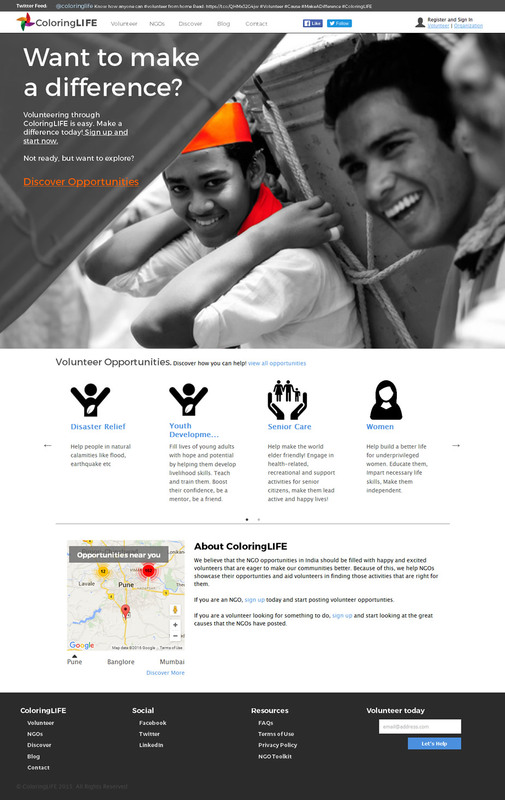 Coloring life is an online platform with aims to bring together NGOs and volunteers online. 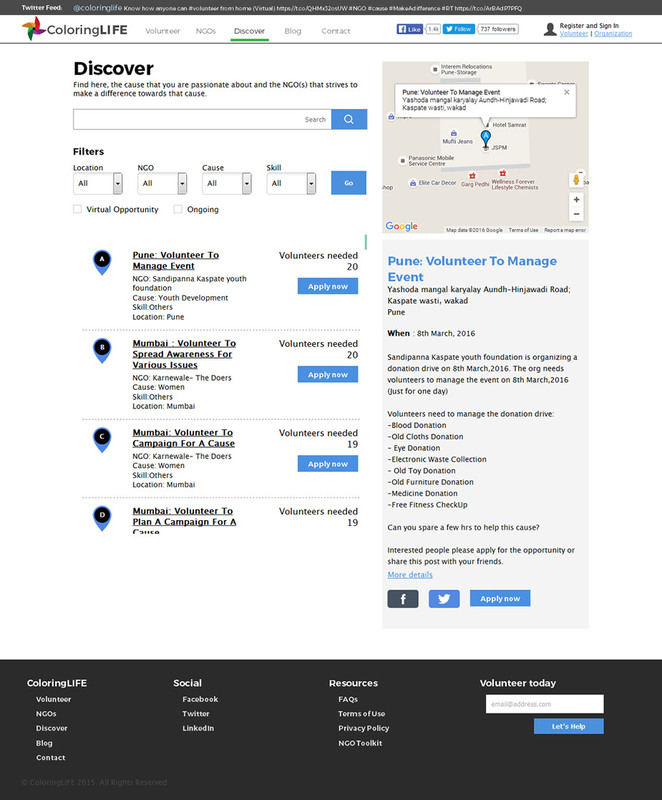 It serves at a perfect medium to invite volunteers for various NGO initiatives like disaster relief, youth development, senior care and women. 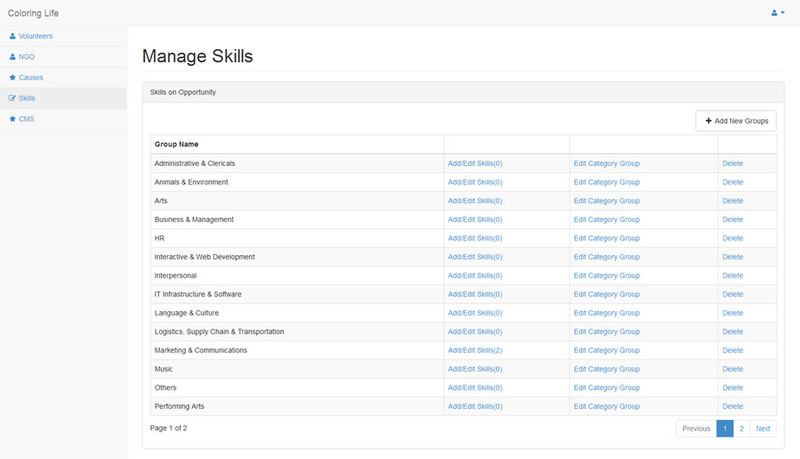 Galaxy Weblinks developed this portal and fostered the spirit of camaraderie between volunteers and NGOs. 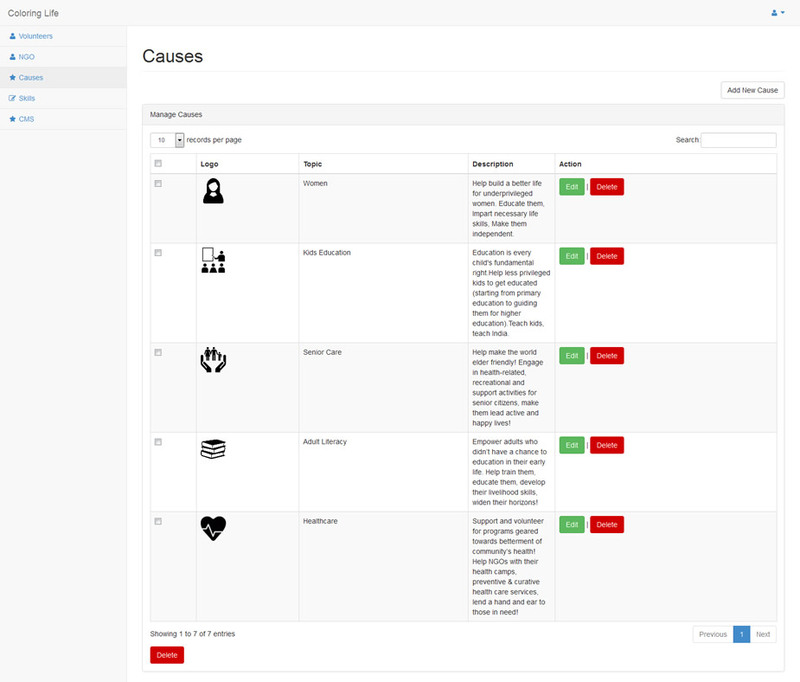 Our team developed responsive platform true to its vision, with login options even through social media channels. The portal features volunteering opportunities in region, allows individual to volunteer for it and enable NGOs accomplish its noble cause. All for the sake of mankind! 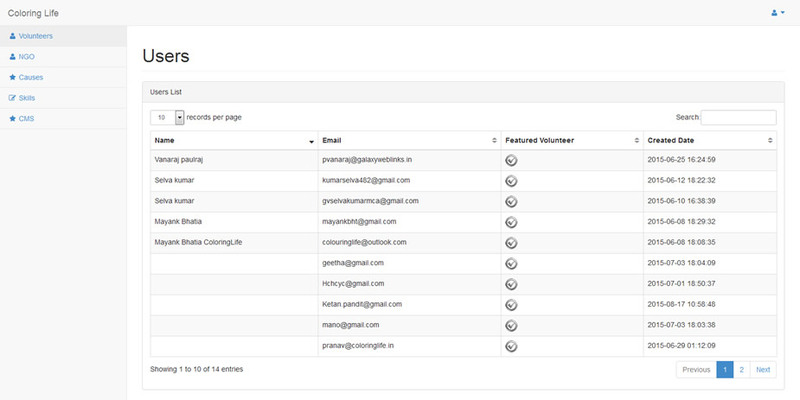 Website Solution A dedicated portal for social cause, NGOs get a platform with options to create profile, post opportunity, connect and engage for noble cause. 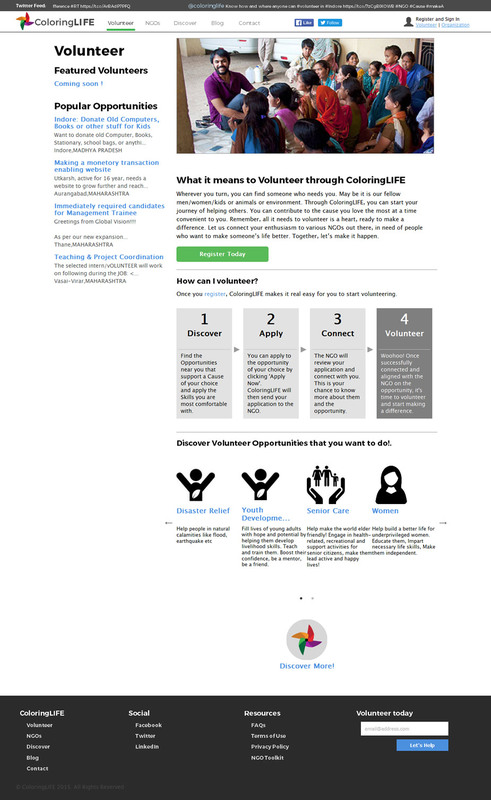 While as a volunteer, one can discover, apply, connect and volunteer for the initiatives.